For more than 60 years, our wood craftsmanship has been trying its best to realize your wishes using our imagination, skills and experience. 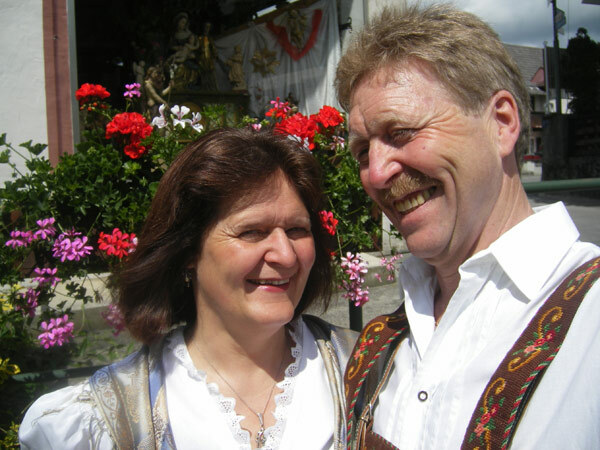 The founders Hans and Regina Klucker have even been awarded with the Bavarian State Prize for outstanding accomplishments. 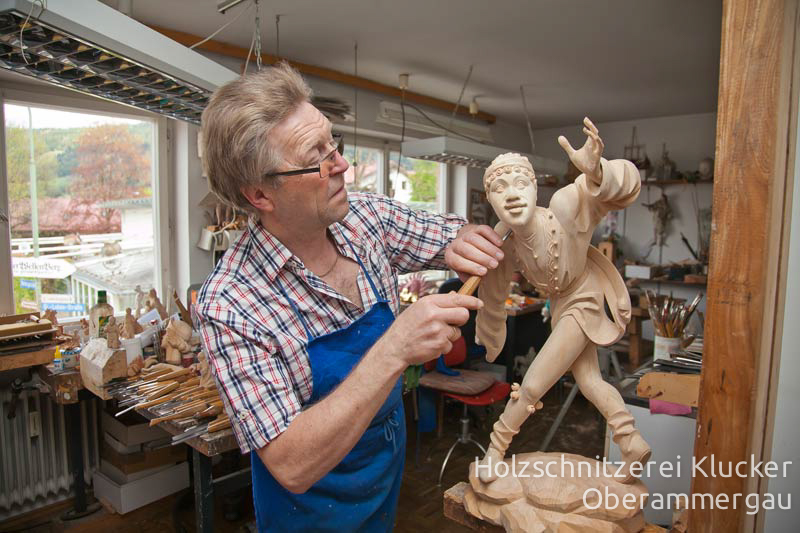 Their son-in-law, Michael Pfaffenzeller, learned the art of sculpture at the vocational School for wood carving in Oberammergau and expanded his studies whilst taking lessons from experienced master craftsmen. 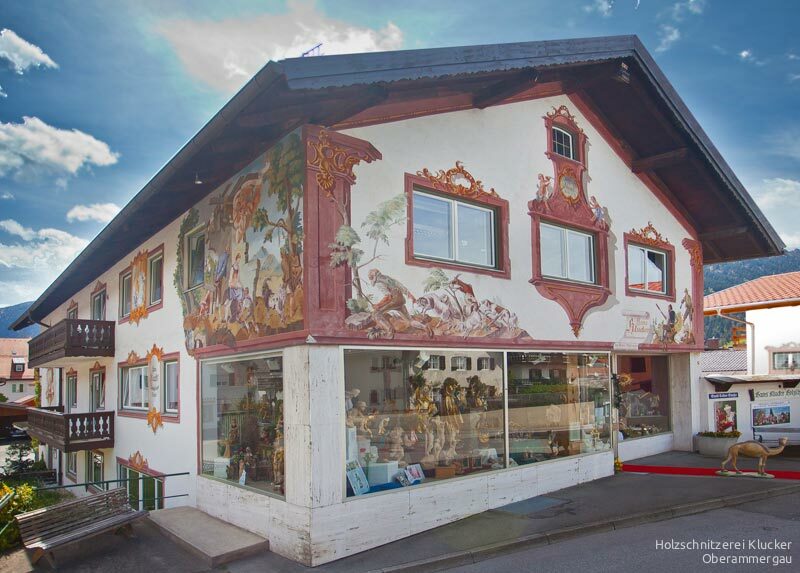 Since 1989, he continues to be the artistic heart of the Klucker family business. 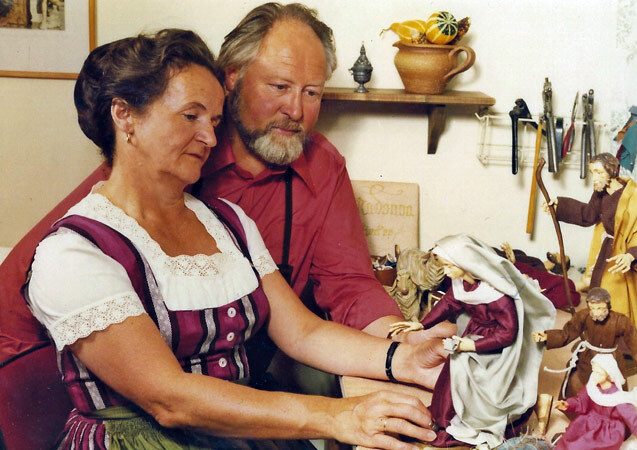 He creates, carves, gilds and paints the figures. 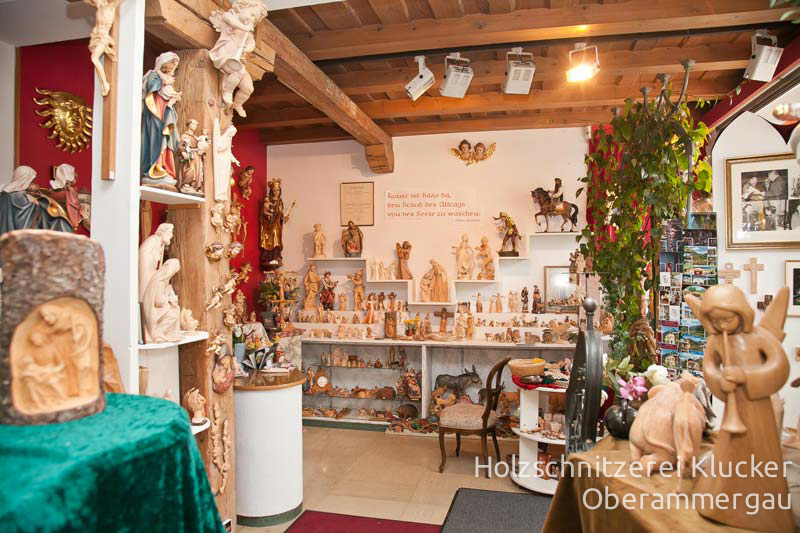 His wife Juliane learned the art of dessing crib figures from her mother and welcomes you in our shop. You can find our pieces in many grand churches like the Munich Frauenkirche (Church of our Lady), the Ettal Monastery, the Wieskirche, the Bonner Münster and, of course, in lots of private living rooms - a special treat for us. 2013 60 years of Quality in the Family Business. We cherish 4 employees who have worked with us from the beginning until today!